People come on holiday for so many reasons. 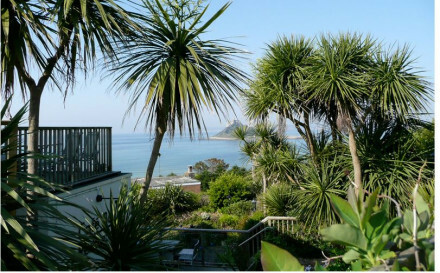 Sometimes it is just for our position above Mounts bay with lovely sea views and quick access to the nearest A road whilst being in walking distance of the coastal footpath. Sometimes it is for our exotically planted gardens and private terraces opening from the bedrooms. They come to celebrate birthdays, anniversaries, and honeymoons. They come to cement new relationships or even to try to heal old ones. They come to get back in touch with themselves and generally just for some “me” time. To relax and be a little bit spoilt. I’ve noticed guests will take at least one walking day from the farm along the coastal footpath - possibly combining it with a visit to St Michael’s Mount if walking westwards to Marazion. If they walk eastwards towards Cudden pint they explore the little secluded coves along the way and may eat lunch at Praa sands before walking home or take a day walk to Porthlevan and come home by bus. They enjoy driving around the west Penwith peninsular in a circular car tour taking in Penzance, Newlyn Mousehole, the merry maidens Lamorna Penberth, Logan rock, The Minack Theatre of course before going on to land’s End. I usually recommend parking at Sennen and then walking back to it to avoid the Theme park. The drive between land’ End and St Ives has been voted one of the nations favourite drives and it travels through unspoilt countryside with field boundaries form early iron or late bronze age. They visit the famous Botallack mines and now Geevor and Levant mines of course and always include St Ives for the Tate and the Barbara Hepworth gardens. Some will spend every day of their holiday walking in different areas – there is a new craze for Geo cashing these days. 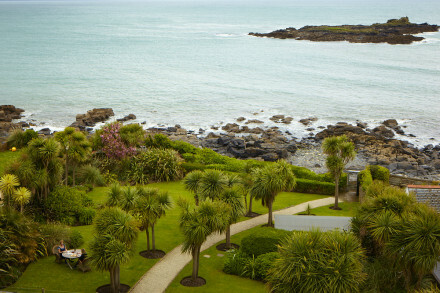 Others will base their holidays around the wonderful estate and valley gardens, not forgetting the newly opened Tremenherre Sculpture gardens behind Penzance. What kinds of Breakfast do you offer? Fresh local ingredients, with a full cooked being very popular – a gentleman leaving yesterday was kind enough to say it was “The best breakfast he’d had for years” I serve kippers from Newlyn, or poached eggs from the next village. Do you offer other meals – can you recommend places to eat locally? 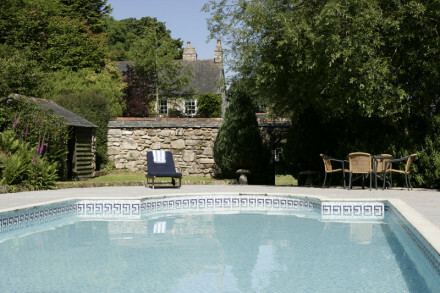 No we only serve breakfast - guest can walk across our fields to an excellent gastro pub in the village and some will bookthe Victoria Inn and Ben’s Kitchen before their stay each year – or sometimes twice a Year. We only have three bedrooms; each has its own unique character. The Blue room is always the most popular with the French doors opening on to its own terrace and views over the gardens to Mounts bay. The lights across Mounts bay of the towns and villages are lovely at night. And lastly the pretty Apricot room smaller but still with French doors to a private little courtyard to enjoy the sea views and reasonably priced. What facilities do we have for children and can we fit in extra beds? What message would you like to send to Hotel Guru Readers?